Your coffee mornings will be a lot more fun with these incredible original geeky mugs! 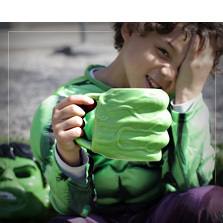 We have all styles of mug merchandise from your favourite movies, series, videogames and characters. Harry Potter mugs so that you can start your day off in the most magical way, from Rick & Morty to alleviate the effects of travelling across dimensions all night long, superhero mugs with their symbols and colours to recharge your batteries, to videogame mugs to have something to hand to drink during the match... And also jugs and mugs from Game of Thrones so that you can toast at any wedding (which will hopefully end differently to the red wedding). 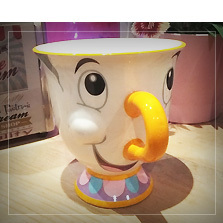 We even have the most adorable mug of them all, Chip from The Beauty and The Beast mug! A steaming coffee, a hot chocolate...even a dessert and delicious mug cake. 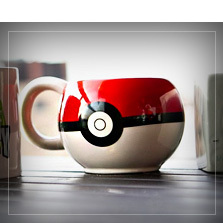 In your geeky mug you will be able to have what you want while showing you are a super fan. Because only a true fan knows that at Funidelia we have the most original merchandise mugs. Includes: ceramic thermal mug, the picture changes when filled with hot liquid. Includes: Ceramic standard size mug with Ouroboros logo design. I'm sure that after seeing our selection of merchandise mugs you will think "What a shame to be a nerd and have such little space in the kitchen!". Because we are sure that if you had more space... you would buy all of our nerdy mugs. Don't worry, you can also show your geeky side, bringing one of these geeky mugs to work, where all will be amazed by the design and will think you are really cool. If you want to have a butter beer, or drink the best Arbour Gold wine or have a few shots with your favourite superheroes, we have the most original geeky mugs, jugs and cups with designs from your favourite series, movies and videogames. You will even be able to sing the famous Beauty and the Beast song while you have breakfast with your Chip teacup! 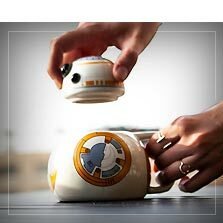 Buy a geeky mug and... "mug the force be with you"!